Featured image via MPA Facebook Page. 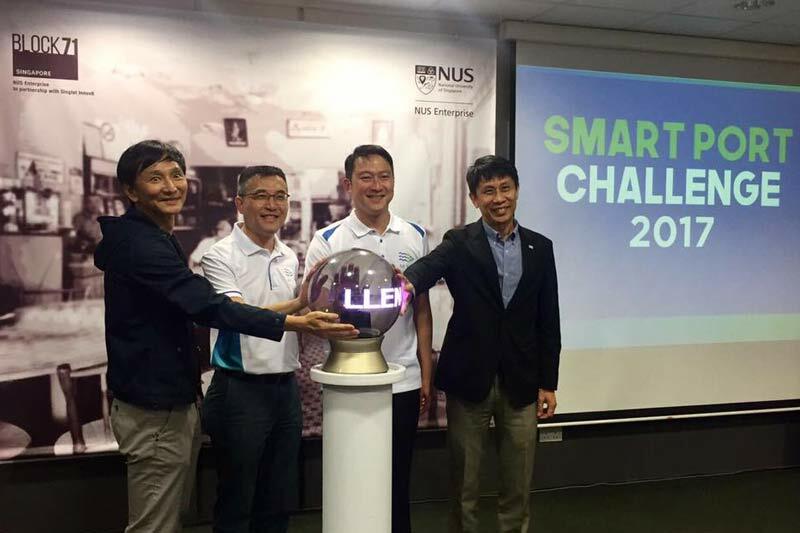 The Maritime and Port Authority of Singapore (MPA) has launched the first Smart Port Challenge 2017 (SPC 2017) welcoming close to 190 registered participants from the technology, start-up and the venture capital (VC) community as part of MPA’s wider effort to develop innovation. The event was officiated by Dr. Lam Pin Min, Senior Minister of State, Ministry of Transport and Ministry of Health. Building upon the last two Smart Port Hackathons driven by MPA in 2014 and 2015, SPC 2017 was conceived to encourage further collaboration between organisations and start-ups to push digital transformation in the maritime industry. The six-month programme will take a new approach with the involvement of industry partners providing funding and test-bedding opportunities in partnership with the VC community. The advent of technologies such as the Internet-of-Things (IoT), data analytics and machine learning have created smarter ships while major players in the shipping industry are also developing blockchain solutions to digitise, manage, and track shipping transactions which could potentially save the industry up to billions of dollars. However, these do not come without challenges, such as asset utilisation, manpower training, and ways to effectively manage processes so new technology infrastructure can become part of the operational strategy. SPC 2017 aims to identify and discuss these challenges and help translate these ideas into commercial solutions. Industry partners or co-creators will also identify mentors for participants. SPC 2017 will have two categories of participants, comprising start-ups and non-start-ups. MPA and PSA unboXed will provide seed funding support of up to SGD$50,000 for each selected start-up to develop full prototypes with the possibility of implementation for business operations. Start-ups can also look forward to seed funding support from other VCs while shortlisted non start-ups will be eligible for MPA’s Maritime Innovation and Technology (MINT) funding for test-bedding or product development. Held at Block 71, NUS Enterprise – an area which hosts a large community of technology incubators, accelerators and start-ups, the launch of SPC 2017 will kick-start work with maritime start-ups and the wider VC community to provide opportunities for technology companies, industry partners and start-ups to harness digital technologies for collaborations that will add value to the maritime logistics chain. “Digital transformation has a key role to play in our competitiveness as a global maritime hub. SPC 2017 will bring together new and existing start-ups to research and develop innovative applications for IT solutions in the maritime sector and is part of our wider industry transformation effort to develop an innovative maritime start-up ecosystem to take advantage of the growing applications of automation, Information and Communication Technology (ICT) and data analytics in the maritime industry. SPC 2017 partners include Batam Fast, CMA CGM, Hong Lam Marine, Jurong Port, Kanlian, NYK Line, Pacific International Lines, Port of Rotterdam, PSA Marine, PSA unboXed, Symphony Creative Solutions and Synergy Marine Group.